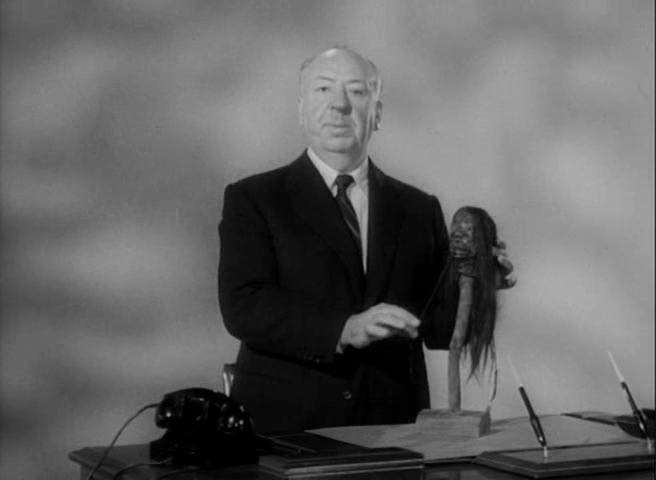 Before we run out of Hitchcock Year, I just wanted to run through the episodes of Alfred Hitchcock Presents directed by the master, so I can say I’ve done ’em. Breakdown is a real mini-masterpiece, reuniting Hitch with two-time collaborator Joseph Cotten. There’s an extremely nice conflation of theme, character and plot in this one, which gives the impression of being a simple exercise in suspense and subjective camera. Many of the best AHPs do this: deceptive simplicity at the service of an idea. Revenge went out as the series opener, bumping Breakdown into a secondary spot, purely because Hitch was so pleased with Vera Miles. She co-stars with Ralph Meeker in a very dark, upsetting little conte cruel, strong meat for 1950s TV. The Case of Mr Pelham I’ve already discussed, and it’s a nice, inexplicable fantasy tale with Tom Ewell and Tom Ewell. Hitch’s intro and outro actually expand the story nicely. Mr Blanchard’s Secret is basically comedy — I think Hitch was often drawn to these episodes as a way of working outside the thriller genre which his feature films committed him to. This is a tiresome, overplayed story, with a very annoying performance by Mary Scott as a crime writer (a frequent Hitchcock character/stand-in) with REAR WINDOW style suspicions about a neighbour. I found this so tedious the first time, I’m deliberately leaving it unwatched in Hitchcock Year. Because nothing should ever be really complete. Maybe because it’s so dull, the episode escapes mention altogether in Charlotte Chandler’s filmography in It’s Only a Movie, Alfred Hitchcock, A Personal Biography. Wet Saturday, a fairly delightful John Collier adaptation with Sir Cedric Hardwicke, another actor Hitch enjoyed greatly. Collier’s stories also graced The Twilight Zone, and one, The Fountain of Youth, got the experimental treatment by Orson Welles. If you haven’t sampled his short fiction, I highly recommend it. 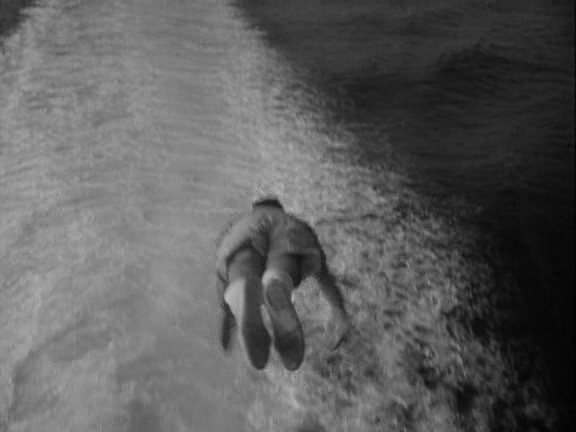 In amoral little comedies like this, Hitch’s outro is often used to placate the censor with a tacked-on “happy” or “moral” ending. 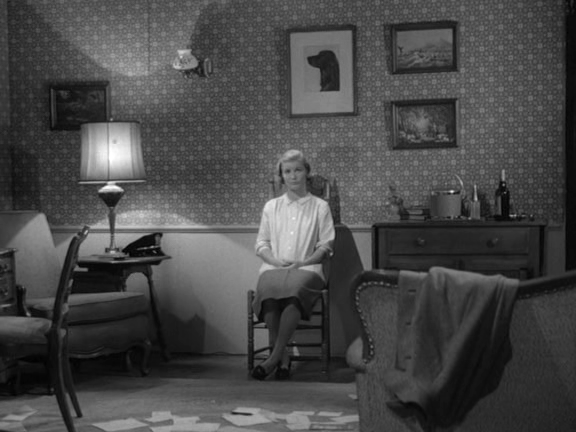 One More Mile to Go is another neat little suspense situation, referred to in my PSYCHO post. David Wayne (the killer in Losey’s M) plays another sympathetic wife-murderer in search of a body of water to lay his wife to rest in, and pestered by a persistent traffic cop and a faulty tail-light. A lot of these pieces nicely balance the sympathies of the audience, as deftly manipulated by Hitch, with the demands of morality and censorship. Perfect Crime is enjoyable enough, the story not being anything special, but the pleasure of seeing Hitchcock direct Vincent Price is a unique one. A Dip in the Pool is a comedy with uncertain sympathies but a very nice twist. Keenan Wynn stars, and it’s nice to see Fay Wray in a supporting role. Spectacular stunt, also (above). Poison — almost missed this one! Will watch it tonight and report back. Lamb to the Slaughter is the famous one where Barbara Bel Geddes kills her policeman husband with a leg of lamb, which she then cooks and serves to his investigating colleagues. Even better than the idea suggests, although it is basically a typical Roald Dahl piece, stronger on its central gimmick that anything else. 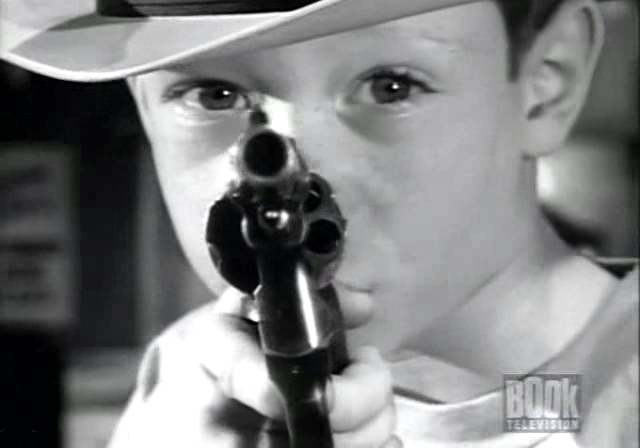 This shot of BBG seems to anticipate the end of PSYCHO. Banquo’s Chair is a fairly predictable story, in which a fake ghost is to be used to trap a killer, but the cast is magnificent: John Williams, Kenneth Haigh, Max Adrian. The VERTIGO echoes are amusing too, with impersonation, faked supernaturalism, a retired detective hero, and a Ferguson. Arthur is a black comedy about a homicidal chicken farmer, with a lovely sinister and charming perf from Laurence Harvey, and the always-welcome Hazel Court. Crystal Trench crams most of Fred Zinneman’s 5 DAYS ONE SUMMER into half an hour, with this tale of a woman waiting decades for her lover to be freed from the glacier in which he perished. 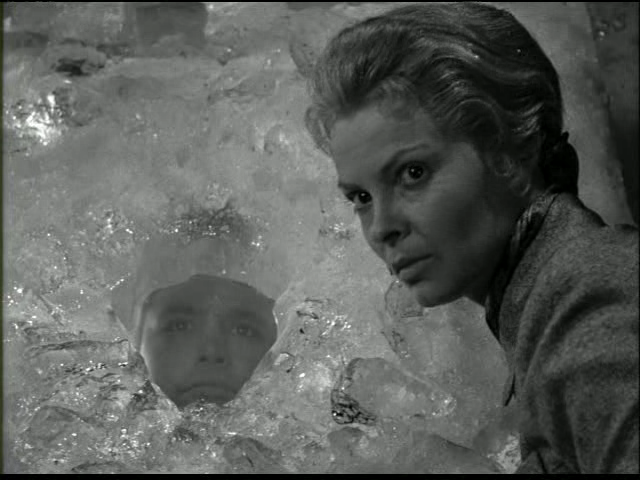 Evan Hunter, preparing to take the job of writer on THE BIRDS, came by the set, and the block of ice shipped in nearly melted while Hitch entertained Hunter’s attractive wife. Mrs Bixby and the Colonel’s Coat is another incredibly drab comedy, with no bad-taste or homicidal element whatsoever — it shouldn’t have been done on the show, let alone by the master himself. The Horseplayer could be said to have similar issues, but the religious setting is intriguing for Hitch, and the presence of Claude Rains (and Percy Helton!) means the piece can’t be considered a total loss. Quite enjoyable. Hitch guesses that we don’t expect him have the kid assassinate his own mother, so for the climax he aims the pistol at the family maid. We’re calculating… is Hitch going to go through with this? He wouldn’t kill the other, that would be too much. But maybe the maid? After all, she’s not a family member, she’s not white, she’s not middle-class… You’d think the mother might produce the maximum suspense, but it’s the maid, because she seems more… disposable. Hitch and his writers have thought it all through, of course.